This Christmas Proud Chelsea is pleased to announce Rock Gods & Superstars; a collaborative exhibition of the most highly regarded photographers of the 20th Century; Brian Aris, Norman Parkinson, Mick Rock, Justin de Villeneuve, Pennie Smith, Ethan Russell, Eric Swayne, Brian Duffy, Dominique Tarlé and Robert Whitaker. This iconic collection, never-before-seen in one exhibition, will include some of the most famous photographs of all time at the heart of Proud’s rock ‘n’ roll history. 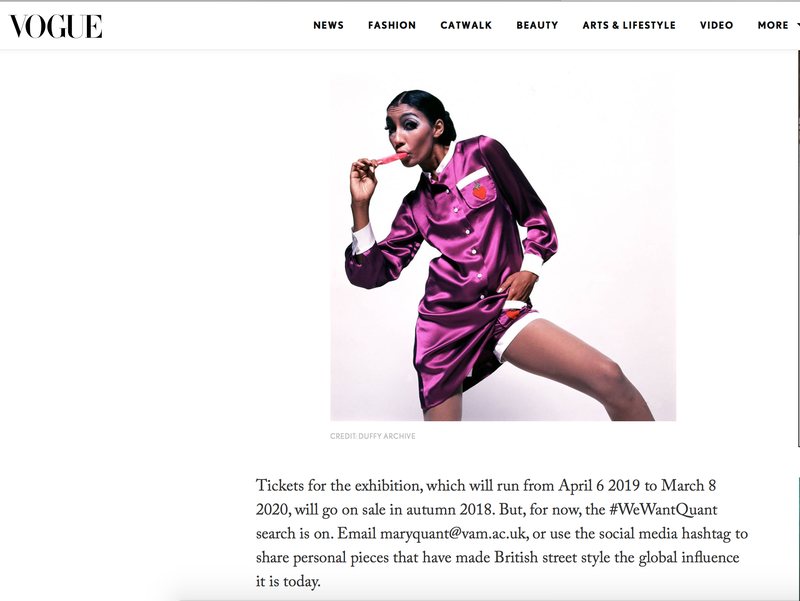 The exhibition will feature nostalgic on and off stage shots of The Beatles and Debbie Harry alongside intimate and surreal portraits of Audrey Hepburn, Twiggy, Jean Shrimpton and Marilyn Monroe. From Dominique Tarlé’s photographs of The Rolling Stones at Villa Nellcôte, where they decamped to escape the UK’s punitive tax regime while recording Exile on Main Street to, what is considered by many as the greatest Rock ‘n’ Roll photograph of all-time; London Calling by the acclaimed Pennie Smith. This legendary image shows Paul Simonon of The Clash smashing his bass guitar on stage in New York City in September 1979, and distils the power, energy and fury of rock ‘n’ roll in one image. We are honoured to exhibit, as a UK exclusive, several photographs by “the Man who Shot the Seventies”, Mick Rock. From glittery eye makeup to punk chic, Rock captured everyone from David Bowie’s Ziggy Stardust to his long-time friend and collaborator Lou Reed. 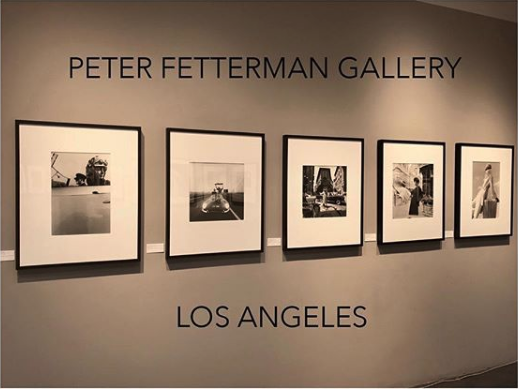 His photographs encapsulate the subversive face of rock music from this groundbreaking period, making him the one of the most sought-after photographers in the world. 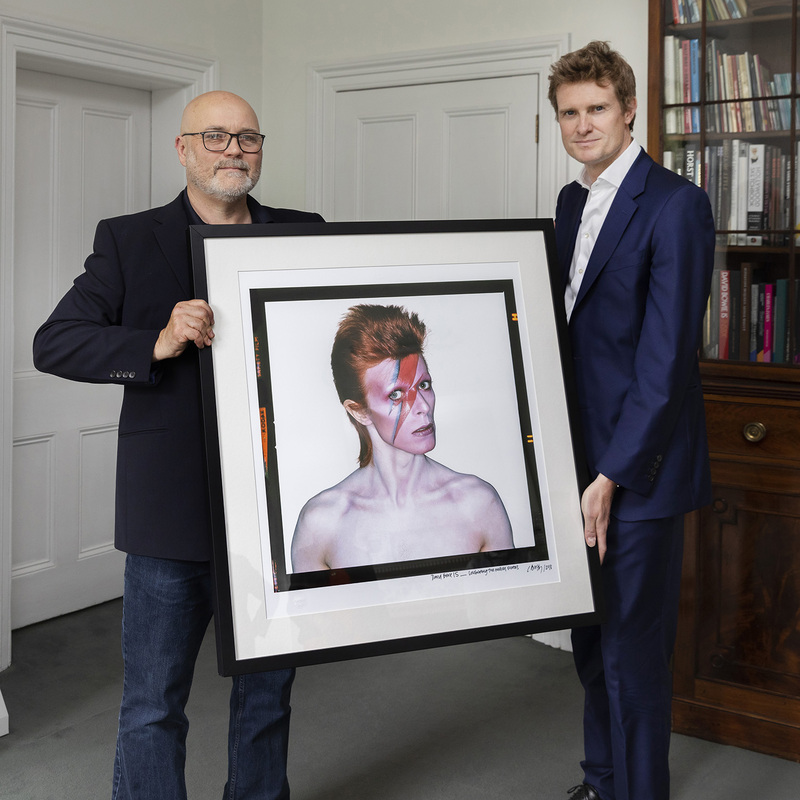 The exhibition will also include the revolutionary Aladdin Sane Eyes Closed album cover alongside the Eyes Open outtake by Brian Duffy and signed by Bowie himself. These photographs have fast become two of the most recognisable and influential images in popular culture and are widely considered the “Mona Lisa of Pop”. They will be displayed exclusively side by side for the first time. Whether you are a first time visitor or a Proud Galleries regular, Rock Gods & Superstars will take you on a breath taking journey through the past century with photographs that cover the length and breadth of popular culture and will reignite your passion for some of the most classic portraits of the 20th century.